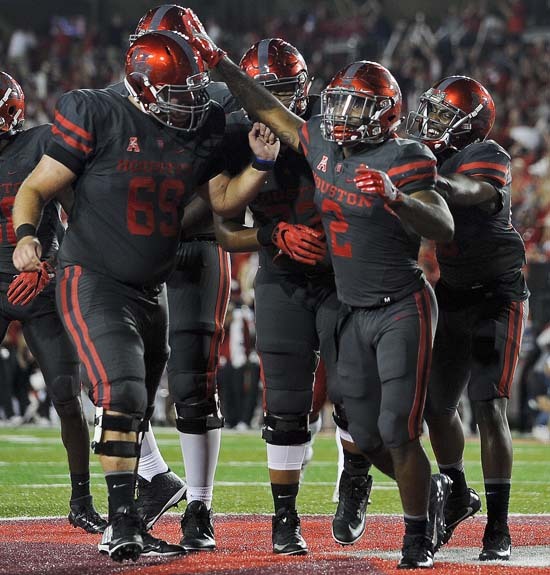 HOUSTON (KTRK) -- In dynamic fashion, the Houston Cougars upset the No. 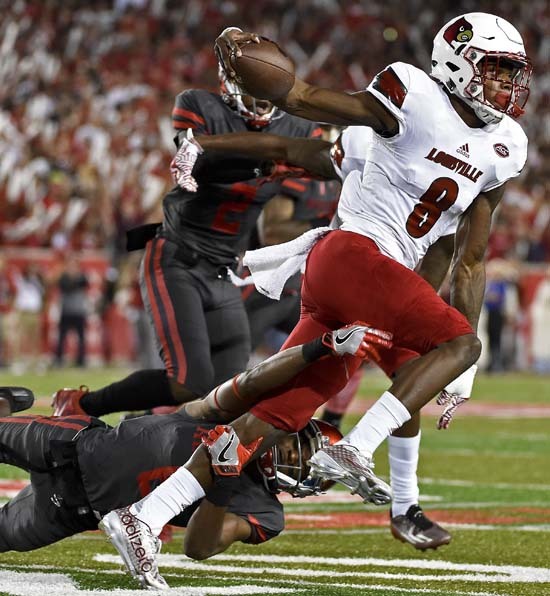 5-ranked Louisville Cardinals 36-10 at TDECU Stadium on Thursday night. 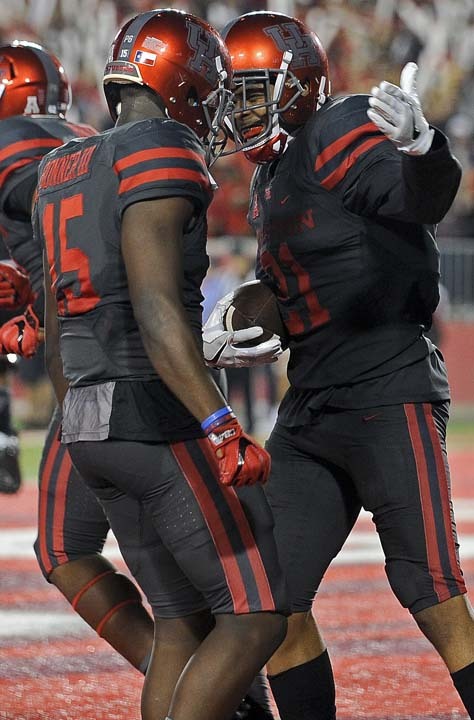 Duke Catalon scored three touchdowns and Houston's defense hurried and harassed Heisman favorite Lamar Jackson all night. 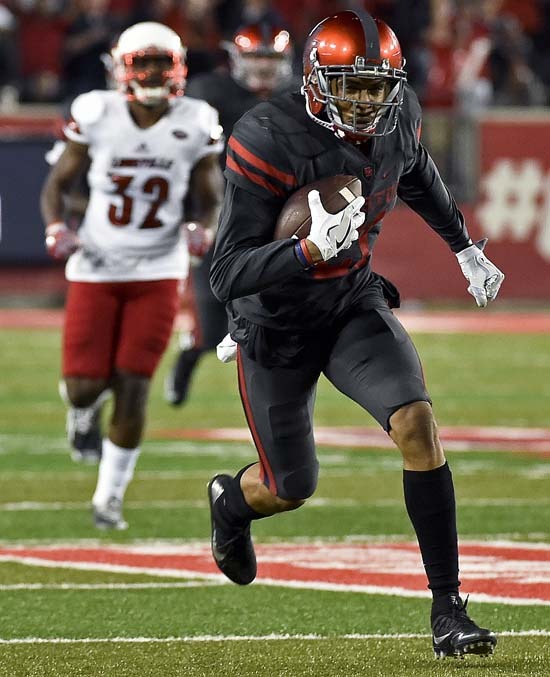 The Cougars victory dashed Louisville's playoff hopes. 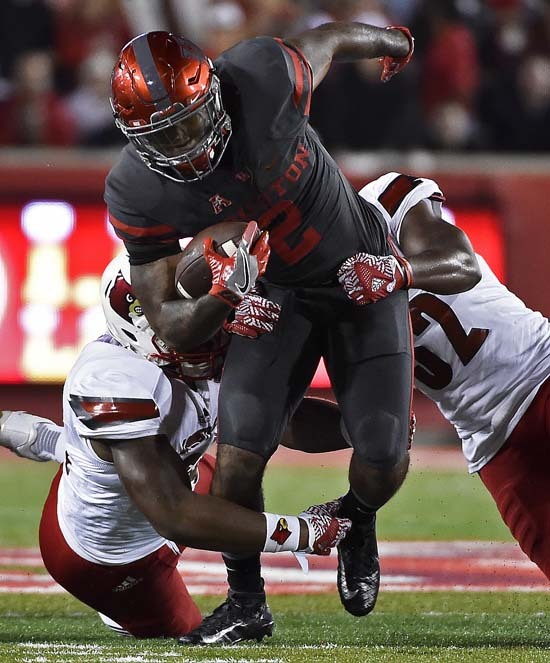 Louisville (9-2) entered the game ranked fifth in the College Football Playoff rankings, but was outdone by a Houston team that saw its own playoff hopes foiled by two losses to unranked teams after a 5-0 start. The Cougars were in Jackson's face constantly, sacking him a season-high 11 times and keeping him from hurting them with his feet. He ran for a season-low 33 yards after piling up 338 yards rushing combined in the last two games. After Jackson was sacked for the 10th time he threw up his hands and two of his lineman looked to be yelling at each other about who was to blame for his latest takedown. But the Cougars weren't done getting after him just yet. 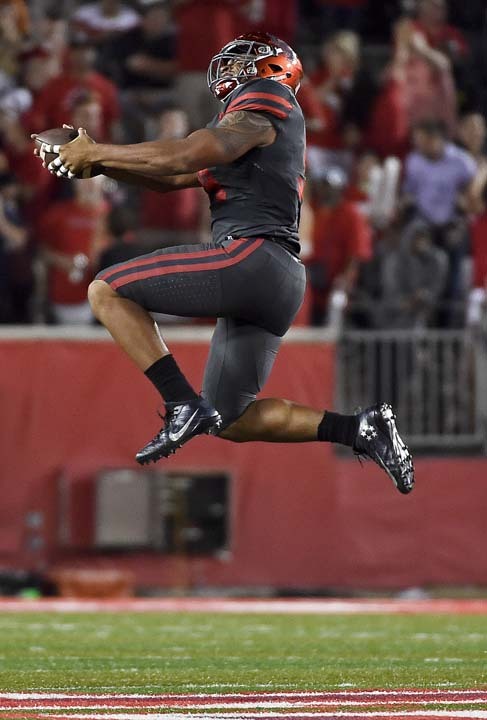 On the next penalty he threw the ball away while under heavy pressure from Tyus Bowser and was flagged for intentional grounding, giving the Cougars a safety. 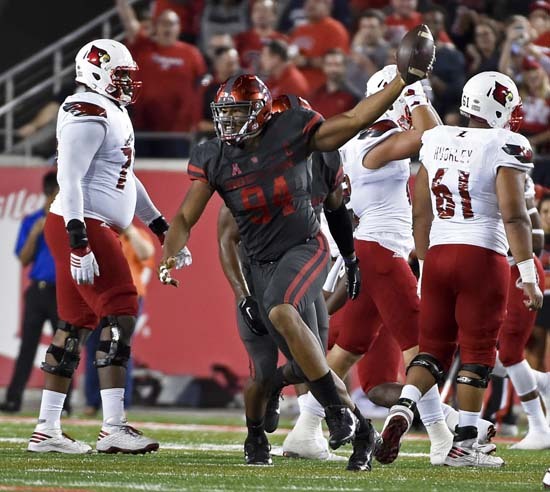 The Cardinals set a season-high with 15 penalties, punted a season-high six times by halftime and the 11 sacks they allowed were more than double their previous season-high. It's the fewest points they've scored since a loss at North Carolina in 2011. Ward threw for 233 yards and two touchdowns to help the Cougars to the victory that left Cougar fans storming the field to celebrate. 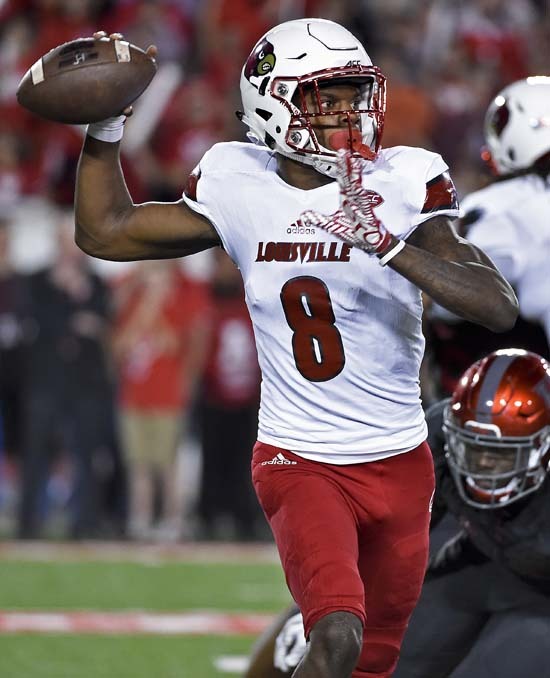 LOUISVILLE: The Cardinals may not have made the playoff even if they didn't lose on Thursday night, but the opportunity was theirs for the taking. Now the only have themselves to blame for being on the outside looking in. 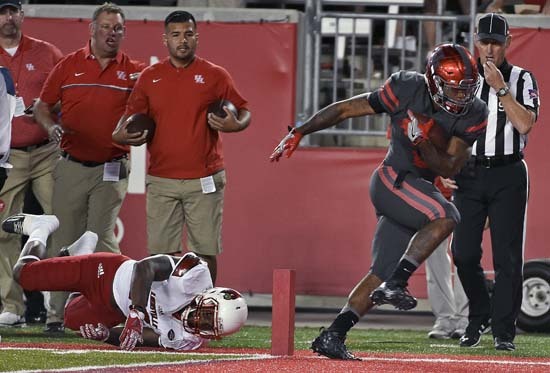 HOUSTON: The Cougars looked like the team that knocked off then-No. 3 Oklahoma in their opener instead of the underperforming one that lost at Navy and SMU to fall out of the top 25 weeks ago. The victory, which was their fourth straight over a top-10 team, will go a long way toward put a positive spin on what had turned into a disappointing season.